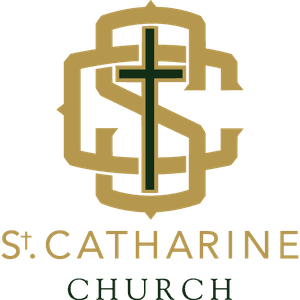 St. Catharine Church is growing…in a big way! Over two years ago, Fr. Dury met with Ministry Leaders, School Administrators and Parishioners to explore solutions to address our severely limited meeting, classroom and preschool spaces, as well as our site and physical plant issues. 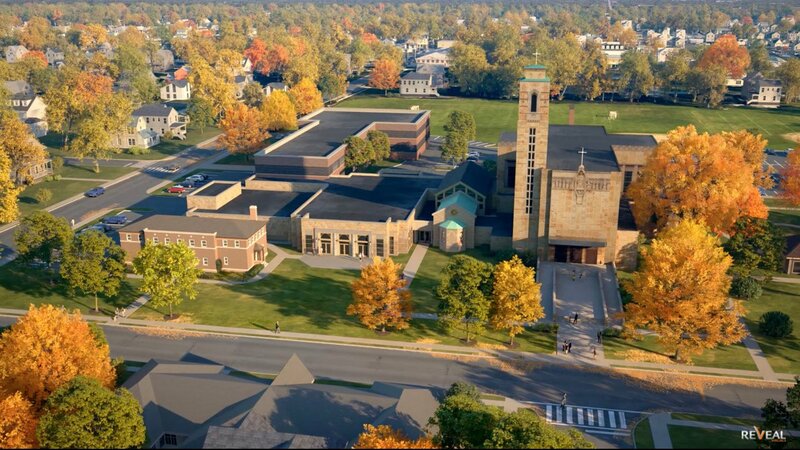 Fly-Through Video of our expansion project. 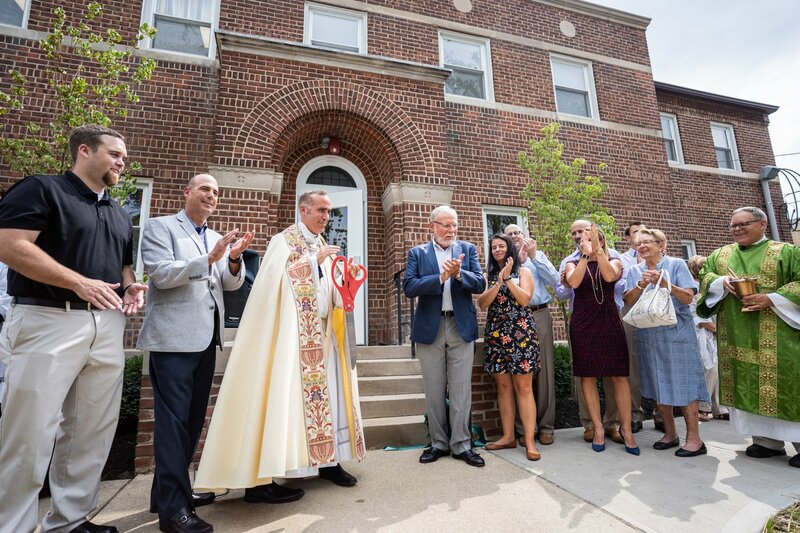 Phase I is complete and our new Preschool building was dedicated on August, 26th, 2018! The new home for the preschool, which has been at capacity and has operated with a waiting list for the past two years, is the parish’s former convent, a sturdy brick building dedicated in 1938 for the Sisters of the Holy Cross, who ran and provided the faculty for St. Catharine Elementary School until the mid-1970s. Our preschool, which has awarded the Ohio Department of Education’s five-star Step Up to Quality program rating, features four classrooms, a kitchen, new heating, ventilating and air conditioning systems, new fire-suppression systems, new restrooms on every floor, a large motor-skills room for exercise, offices and conference rooms for the staff, and an enclosed playground. 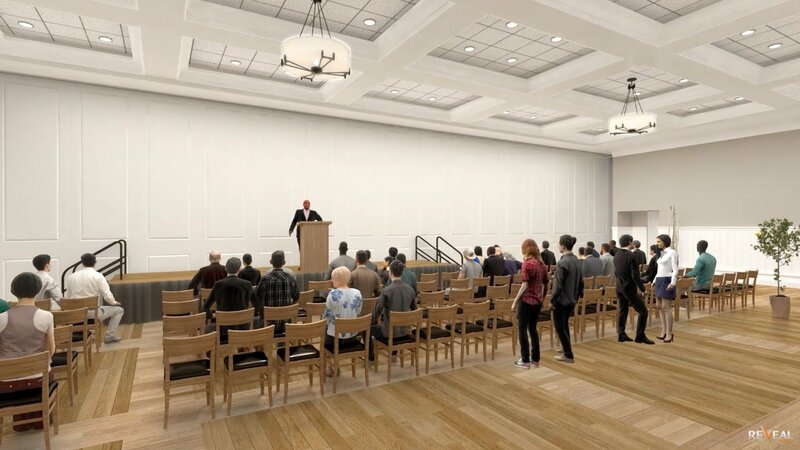 Also included is a chapel, also known as an atrium, where students will be taught the Catechesis of the Good Shepherd, which emphasizes age-appropriate experiential learning, simplicity, and order. 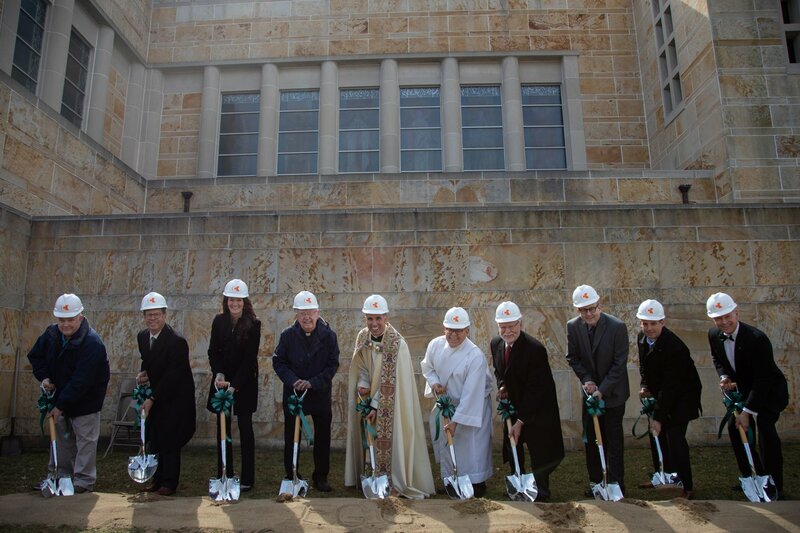 On March 17th, 2019 we officially broke ground on Phase II of our expansion project! 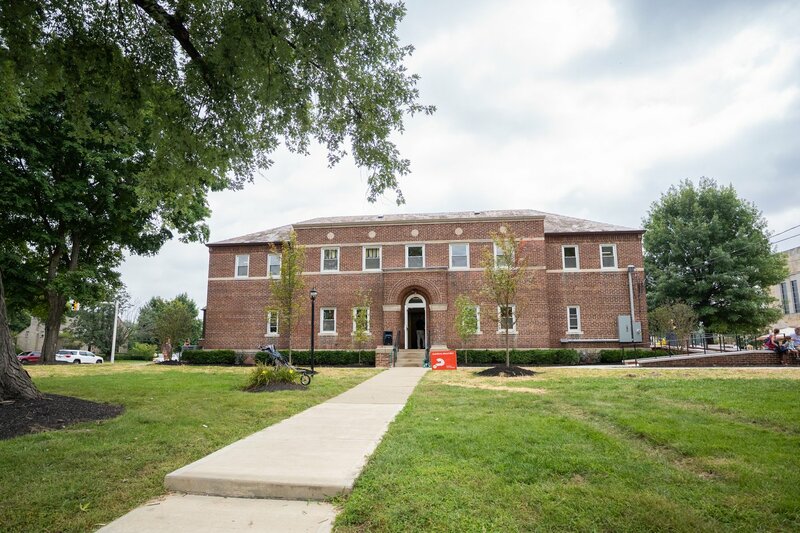 The Eucharistic Adoration Chapel, which marks the center of the St. Catharine campus, will be located under the atrium roof and have capacity for 25 worshippers. 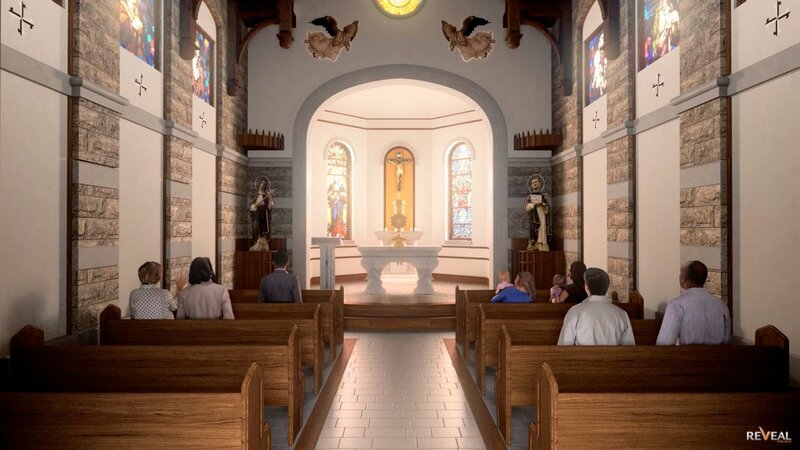 The Chapel, which will be located outside the north transept of the main church, will be adorned with natural stone and rustic wooden trusses. 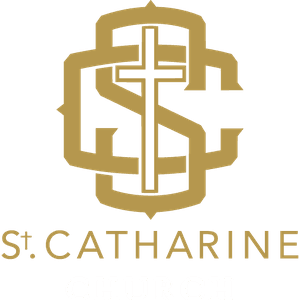 Fixtures for the fully-equipped chapel include an altar, tabernacle with throne, sanctuary lamp, holy water receptacles, candles, ambo, two rows of four pews, and Stations of the Cross. 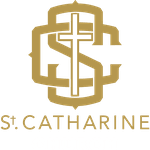 Stained glass windows will be installed in the apse, and capping off the chapel will be the installation of eight well preserved 20th-Century stained glass windows of saints which were donated. 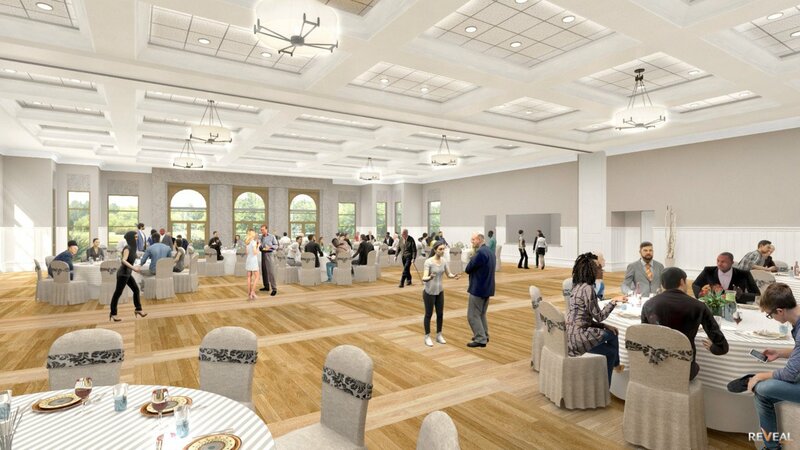 The Monsignor David V. Sorohan Center will feature a 16,000-sq.-ft. banquet facility complete with a full-service kitchen with a capacity to serve up to 400 guests. 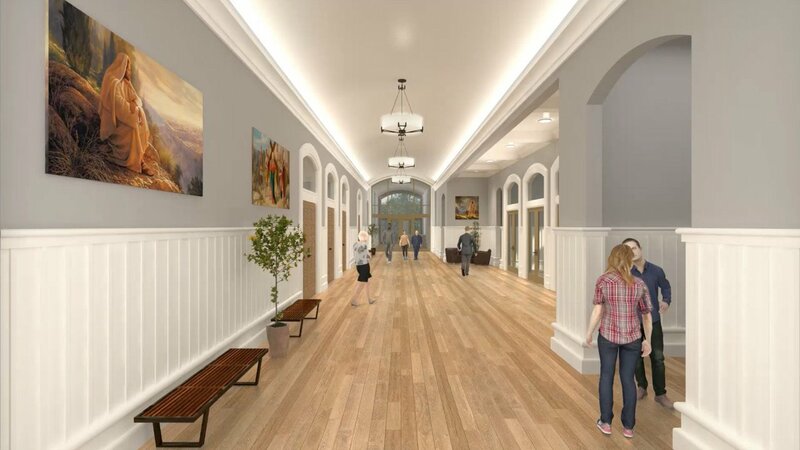 A generous lobby and a spacious atrium will pay tribute to saints and doctors of the Church through stained-glass windows, murals, and statues. 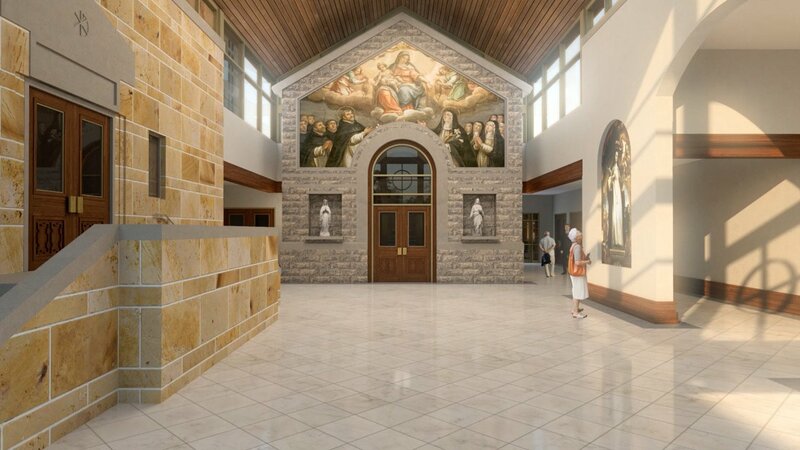 A connecting structure linking the main church to the grade school will also include tributes to beloved saints. 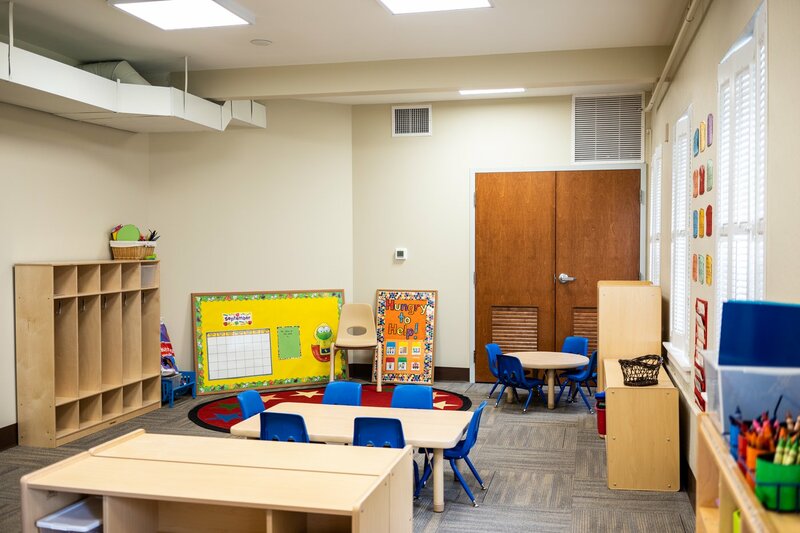 The school also benefits from this expansion with two new classrooms for music and foreign languages, and a conference room.